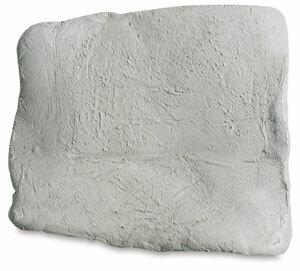 Standard Ceramic 105 White Clay With Grog is a white-firing earthenware clay that is excellent for both hand-building and wheel-throwing, as well as for larger wheel and sculptural forms. It works well with most commercial low-fire glazes. A combination of choice plastic clays with added grog lends body strength and texture while reducing cracking. Dark gray in its moist state, and ivory white after firing, Standard Ceramic 105 White Clay With Grog should be bisque fired to Cone 04. The recommended firing range is Cone 06–04. Shrinkage is 5% at Cone 06, and 5.6% at Cone 04. Absorption is 15.3% at Cone 06, and 14.5% at Cone 04. Standard Ceramic 105 White Clay With Grog comes in a 50 lb (23 kg) carton that contains two 25 lb (11 kg) bags. It is de-aired and ready to use.